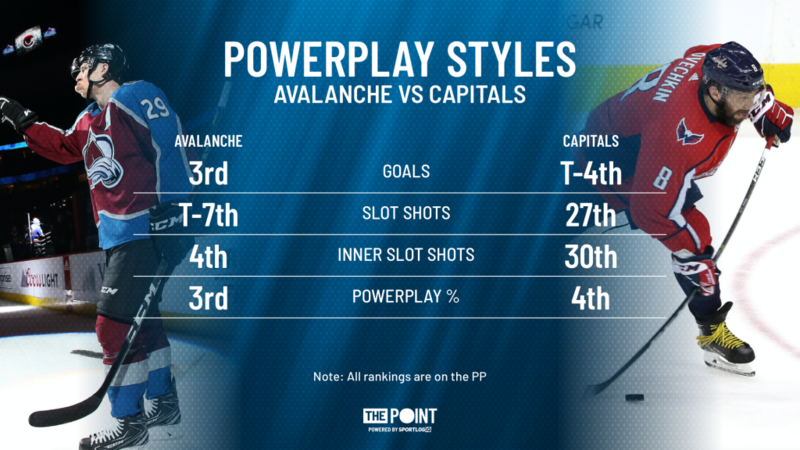 Point Shot: Caps vs Avs - A pair of effective but very different powerplays - The Point Data-driven hockey storytelling that gets right to the point. The Colorado Avalanche have been getting a lot of attention for their top line of Mikko Rantanen, Nathan MacKinnon, and Gabriel Landeskog, but another area of strength for them this year has been their power play, which currently sits 3rd in the league. Coincidentally, they’re playing the Washington Capitals tonight, who rank just behind them in 4th. The Avs’ style involves a lot of quick puck movement using a lot of one-touch and seam passes. They shoot the puck a lot and get pucks to the net whenever they can. They’re also getting production from both units, with 8 of their 18 power play goals coming from the second unit. The Caps, on the other hand, rely entirely on Ovechkin’s shot. If it doesn’t work the first time they just try again. 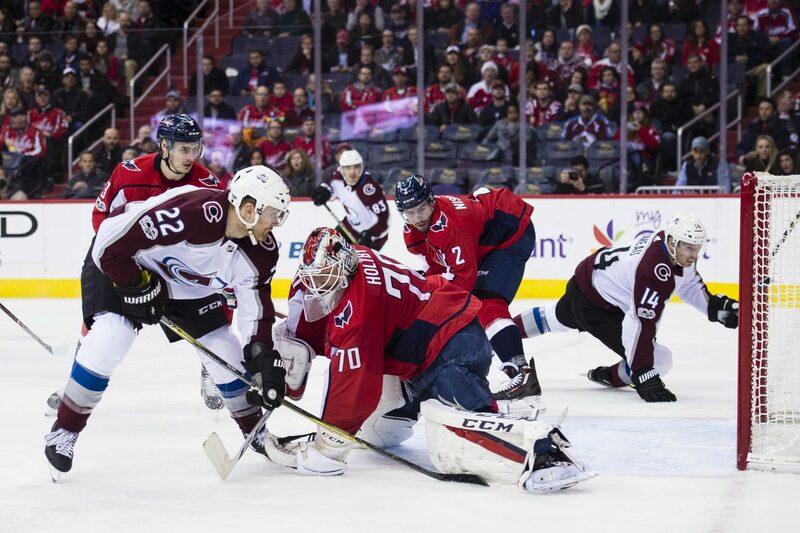 Having two incredible passers like Evgeny Kuznetsov and Nicklas Backstrom will help any power play but the two of them work the puck around and slowly force the opposition to tighten up so that they can send a pass over to Ovechkin for his trademark one-timer. Occasionally Kuznetsov or Backstrom connect for a backdoor pass or quick surprise shot on net but other than that everything runs through Ovechkin’s one-timer. Both teams are scoring more than a quarter of their goals on the power play and are doing it in two completely different ways. The Avs are scoring by committee while the Caps continue to use a volume approach to Ovechkin’s one-timer. These power plays are fun to watch but more importantly, they’re deadly when they hit the ice. A key to winning tonight could be trying to keep the opposing teams’ power play firmly seated on the bench.